Question: Do you have anything for Shukra that is more vaishnava oriented? Since Rudraksa could be viewed as more tilting toward Siva. We have all respects for Lord Siva but an aspiring vaishnava wants things that remind him of Krsna, isn't it? Answer: "Na vaishnavanam-yatha-shamboh!!!" - Shastra quotes, "There is no Vaishnava equal to Shamboo!" So what could be more Vaishnava oriented!? How does Shukra remind about Krishna any more than Shiva? Even in Vraja dham Lord Shiva, as Gopiswar Mahadev, is the gate keeper of the Rasa Lila. And Lord Shiva also heads His own Vaishnava Sect, viz., the Rudra Sampradaya (Vishnu Swami or Vallabha Sampradaya). As well Lord Shiva is divinity Himself. Hinduism has many real talismans. Shalagram, Tulasi, Shankh, Bael, Gomati and many others are objects of veneration. A pure (uttama) devotee never seeks good luck. But less than Uttama Adikari devotees can and do seek talismans, as well they should. 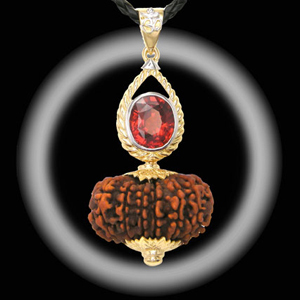 The gems are also karma misra bhakti as are the Rudrakshas. Karma Misra Bhakti is still "Bhakti," none the less. Gems are hardly as powerful as Rudraksha. And Shukracharya is hardly as potent as Lord Shiva. Rudraksha is probably the ultimate talisman in Sanatana Dharma. I have researched and collected Rudraksha since 1974. They are sacred blessing of God, in His form as Param Vaishnava Lord Rudra, Who is divinity in His own right. 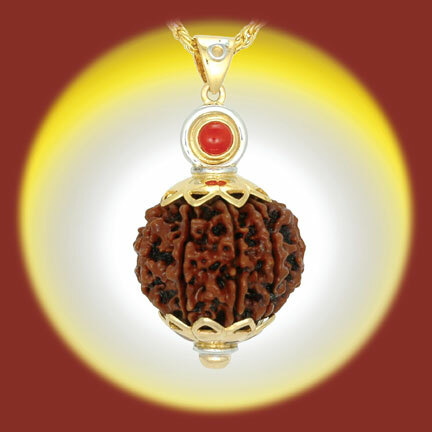 If any devotee (of any God) wants good luck they need look no further than Rudraksha. Shastra also says, "If one is impure or pure or has been everywhere - in all cases the best course of action is to remember and pray to God, Who has eyes shaped like lotus petals, which can purify one both internally and externally. Padma Puranam, Chapter 57, Sri Bhagavan uvaca, "If a man always wears a Rudraksa, especially with fourteen mouths, permeated with God's auspicious power, he is always honoured and blessed by the demigods due to the greatness of his religious merit." There are many Vedic quotes by Lord Hari Himself praising Rudraksha. There is almost nothing about the powers of gems in Shastra, but Shastras are filled with quotes praising Rudraksha. And these Rudrakshas have different attributes noticed since thousands of years. Shaat-mukhi (6 faced) is also numerically related to Venus. And tantric Diamond also relates to Venus. So in absence of a large diamond, a combination of 6 faced Rudraksha with smaller diamond is a double Venus plus Shiva talisman, for improved luck, which is karma misra (mixed with normal selfish desires). Also, Rudraksha cost much less than gems. And in our experience they are far more potent. For example, for Sade Sati (Saturn lunar transit) there is nothing better known than 14 faced Rudraksha, and this has been so for thousands of years. What gem can come close to pacify Lord Shani (Saturn), who is actually a devotee of Lord Shiva himself? For pure causeless bhakti there is no desire for talismans. And karma-misra-bhakti can use gems and Rudraksha. Of the two, Rudraksha of Param Bhagavat Lord Shiva Mahadeva is superior with no bad effects and auspicious for most anyone fortunate enough to acquire one.